Ben White is a Professor in the Faculty of Law at the Queensland University of Technology and a Director of the Australian Centre for Health Law Research. Ben graduated with first class Honours and a University Medal in Law from the Queensland University of Technology. He won a Rhodes Scholarship to complete a DPhil at Oxford University, where his doctoral thesis investigated the role that consultation plays in the law reform process. Before joining the Law School, he worked as an associate at the Supreme Court and at Legal Aid Queensland. Between 2005 and 2007, Ben was appointed as the full-time Commissioner of the Queensland Law Reform Commission where he had carriage of the Guardianship Review on behalf of the Commission. He also served as a part-time Commissioner between 2007 and 2010. Ben has published extensively in the area of health law, with a particular focus on end of life decision-making. His work is interdisciplinary with publications in law, medicine, bioethics, social science and psychology journals as well as those that have an interdisciplinary focus. He is an editor of the leading text Health Law in Australia (2018, 3rd ed, Thomson). 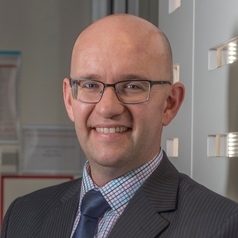 Ben's external research funding includes four Australian Research Council grants examining different aspects of law, policy and practice at the end of life. Key topics investigated include: What role does law play in medical decision-making? To what extent to doctors know and follow the law? Why is medical treatment that is futile/non-beneficial provided to patients at the end of life? How many people make a will or engage in advance care planning and why? Does the community know about the law of end of life decision-making? Do patients and families know their rights and responsibilities when making end of life decisions? He has also undertaken a body of work on euthanasia and assisted dying. Ben has received funding from the National Health and Medical Research Council being an Associate Investigator on two Centres of Research Excellence, one in End of Life Care and the other on Chronic Kidney Disease. He is currently undertaking a national training and research program funded by the Commonwealth Department of Health on doctor’s knowledge of law at the end of life. Ben’s legal research is publicly available through the End of Life Law in Australia website (https://end-of-life.qut.edu.au/ - co-authored with Lindy Willmott and Penny Neller). This site aims to provide accessible information about law at the end of life for patients, families, health and legal practitioners, the media, policymakers and the broader community. Ben is currently a committee member of the Australasian Association of Bioethics and Health Law and the Queensland State Secretary for the Rhodes Scholarship, Australia. More information about Ben’s research is available here: http://eprints.qut.edu.au/view/person/White,_Benjamin.html.